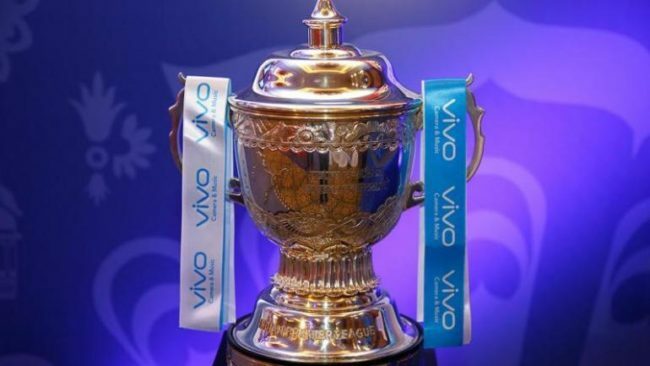 IPL 2019: Cut-off Dates: Jaipur, the pink city of India, will host the upcoming auctions for the cash-rich Indian Premier League (IPL) on December 18 (Tuesday), BCCI confirmed on December 3 (Monday). Meanwhile, with the cash-rich scheduled a few days prior to the 2019 ICC World Cup in England, there have been dark clouds over the participation of overseas players. With the IPL cutting close to World Cup preparations, several players are in a conundrum to risk playing in IPL. The New Zealand board has announced that its players will be available for the entire season, but England and Australia have declared that their players will have to return before May 1. At the same time, some Australian players like Aaron Finch, Glenn Maxwell and Mitchell Starc have put the national commitment ahead of the T20 league that has raised more uncertainty about the best outcome of the league. Furthermore, except for New Zealand and the Windies, all the cricket boards have restricted the availability of their players to feature in the IPL next year. As per reports in ESPN Cricinfo, in an email sent to all the franchises on Monday, the cut-off dates from all the cricket boards have been revealed and most of the first-choice Australian players will be available for the least possible time in the tournament. RCB traded South Africa wicketkeeper de Kock to Mumbai Indians in a cash deal – Mumbai Indians paid them the INR 2.8 crore (USD 437,000) RCB had bought de Kock for in the 2018 auction. They also traded batsman Mandeep (INR 1.4 crore, USD 218,000) to Kings XI Punjab for Australia allrounder Stoinis (INR 6.2 crore, USD 968,000). Mumbai bought de Kock from RCB and to offset the deal, released Bangladesh seamer Mustafizur (INR 2.2 crore, USD 343,000) and Sri Lankan offspinner Dananjaya (INR 50 lakh, USD 78,000), who played just one match in the 2018 season. They also released Australia fast bowler Cummins (INR 5.4 crore, USD 843,000) – Australia players are expected to play a limited role in IPL 2019, with Cricket Australia outlining plans to have their players prepare for the World Cup by playing ODIs and being available for the pre-tournament camp. Since the combined value of those players was more than Dhawan’s, Sunrisers had to pay Daredevils an extra INR 1.75 crore (273,000). Dhawan was released by Sunrisers after a six-year stint with the team because he was unhappy with his auction price. Starc has missed the previous two IPL seasons – in 2017, he parted ways with RCB to focus on international cricket and in 2018, after being bought by KKR for INR 9.4 crore (USD 1.47mn), he was ruled out due to injury. KKR have decided to release him. They also retained pacer Kamlesh Nagarkoti, who was injured last season and didn’t play a game, and his replacement, Prasidh Krishna.